Sir Marcus’s steps sent the dusty remains of the undead abomination up in puffs around him. 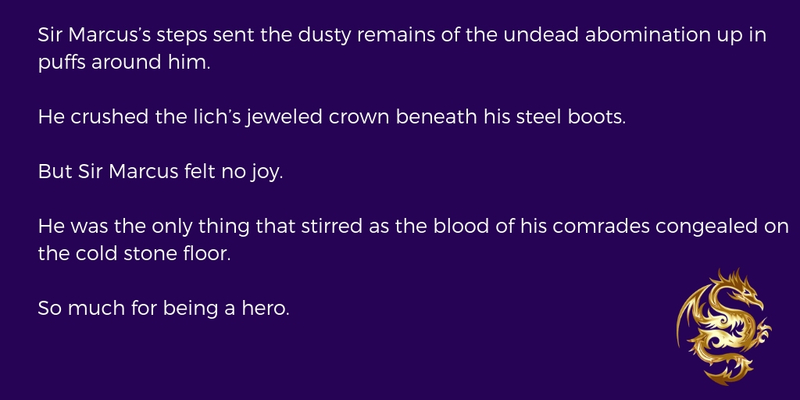 The Knight covered his nose as he crushed the lich’s jeweled crown beneath his steel boots. But Sir Marcus felt no joy at the victory. He was the only thing that stirred as the blood of his comrades congealed on the cold stone floor. So much for being a hero.